As is the case every month, Sony has announced the games people on PS Plus will be getting for free this month, starting on March 5. Undoubtedly, the highlight is Call of Duty: Modern Warfare Remastered. This classic from 2007 is arguably the best Call of Duty game yet, featuring exciting first-person action and fantastic set pieces in a near future setting. This fine remaster by Raven Software surprised many back in 2016, as it managed to capture the magic of the original while bringing the visuals and gameplay up to date. 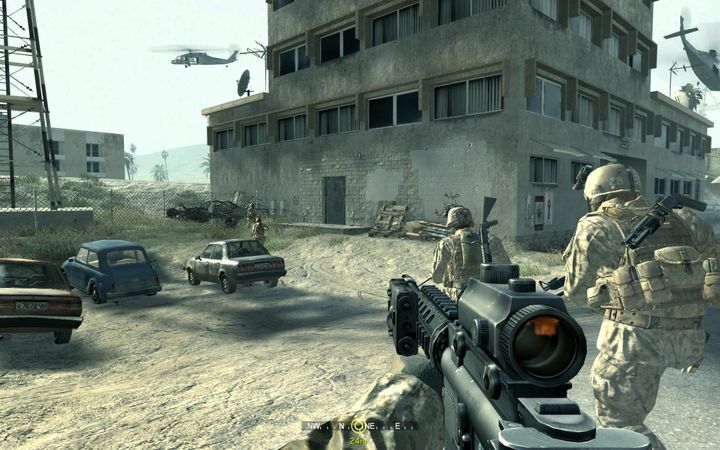 Call of Duty: Modern Warfare Remastered did cause some controversy due to it being bundled with the ill-received Call of Duty: Infinite Warfare, although it eventually became available standalone, and is now free for anyone on PS Plus this March 2019. Aside from the Call of Duty remaster, the other PS4 game which Sony will be giving out for free this month is 2016’s The Witness. This game takes place on a deserted island and will be your cup of tea if you like brain-teasing games, as said island is teeming with puzzles for you to solve. Also, this is the first month in which Sony no longer offers PS3 or Vita games to PS Plus subscribers, although thankfully people gaming on these systems can still claim last month games until March 4. These include Hideo Kojima’s classic spy game Metal Gear Solid 4: Guns of the Patriots and indie fighting game Divedick. Last month’s PS4 games are still yours for the taking too, until March 4. And gamers definitely shouldn’t let Hitman: Game of the Year Edition slip by, as this is one of the best stealth sandbox games released in the last couple of years. Going back to March 2019’s games, you’ll be able to pick this month’s PS Plus offer starting on March 5 as stated earlier, all the way until April 1. And no doubt this is another good selection of games for the PS4, and hopefully Sony will continue to offer more great games to PS Plus members in what remains of the year.